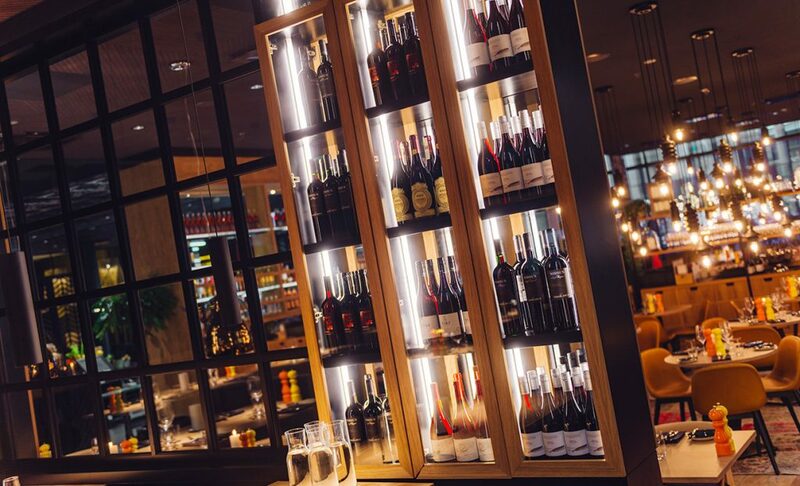 The Clarion Hotel Helsinki Airport, wants their guests to experience something more than just an overnight stay. They are aiming to offer their guests an extraordinary memorable experience. 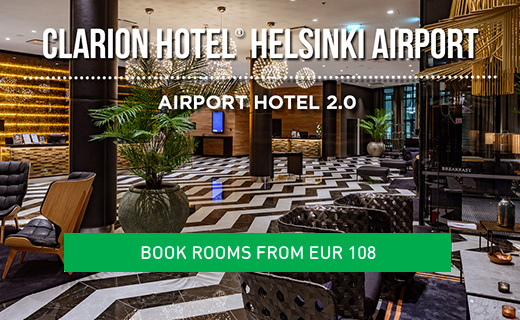 The eight-storey Clarion Hotel Helsinki Airport, is a perfect choice for both business and leisure travellers. 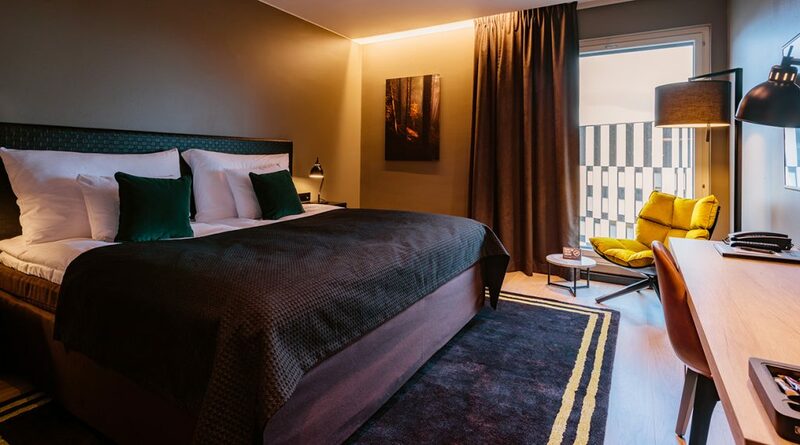 The hotel, which belongs to Nordic Choice Hotels and is the Tripadvisor choice #1 for the area, boasts an impressive 258 rooms, with 12 modern conference rooms, the Kitchen & Table concept restaurant, a lively bar, the social Living Room relaxation area, and a gym and sauna. 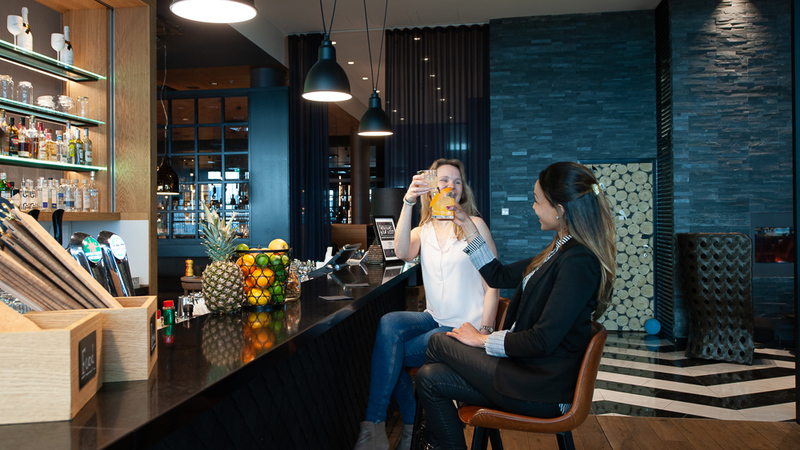 The Clarion Hotel Helsinki Airport is located in the new district of Aviapolis in Vantaa, just one stop and 2 minutes by train from Helsinki-Vantaa airport. The hotel is conveniently just a few metres from the Aviapolis rail station. You’ll find plenty of activities and attractions to explore near the hotel. Its location means guests are close by Jumbo, the second largest shopping centre in the Nordic countries and the largest shopping centre in Finland, Tammisto Outlet Shop, as well as the Flamingo Entertainment Centre, featuring a spa, restaurants, a bowling alley, cinema, and much more. And just a stroll from the main entrance to the hotel guests will also find the Finnish Aviation Museum, an exciting destination for the whole family with a collection that features dozens of aircraft that tell the history of Finnish aviation and a chance to fly in three different flight simulators. Although there are nature and jogging paths right next to hotel, nature lovers can enjoy the beautiful lake Kuusijärvi outdoor recreation center close-by in Vantaa. Kuusijärvi has been described as a piece of Lapland only 15 minutes from airport. In the summer, visitors can enjoy swimming and hiking; in the winter, ice swimming and cross-country skiing excursions in snowy landscapes. Kuusijärvi also boasts the only authentic public smoke sauna in the Helsinki Metropolitan area. You can hop on a tour bus provided by Tixi Travel from in front of the hotel. Tixitravel organizes day-trips to the most interesting sights in Vantaa, as well as to Kuusijärvi. Clarion Hotel Helsinki Airport works in close co-operation with Vantaa Art Museum, Artsi. Vantaa Art Museum presents temporary domestic and international exhibitions of contemporary art. 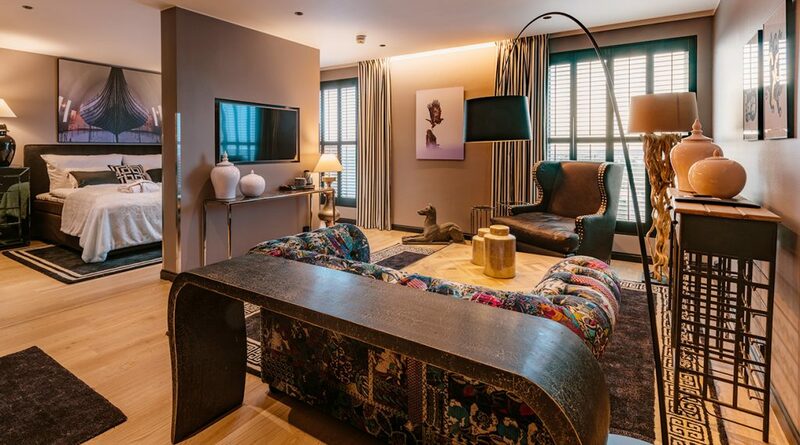 One of the hotels main event spaces features a changing art exhibition by Artsi. Artsi is also easily accessed by train from the hotel. 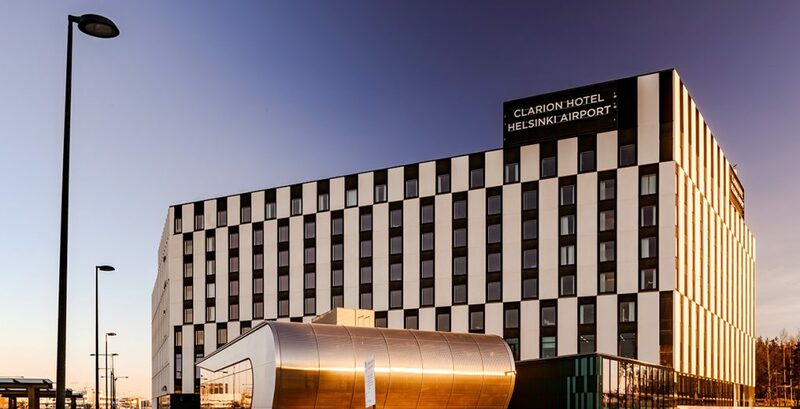 Clarion hotels were chosen by Helsinki Design Week 2017 as a main partner, with both the Clarion Hotel Helsinki Airport and Clarion Hotel Helsinki holding happenings and exhibitions over the 10 days of the world famous design festival. Clarion Hotels have made great design an essential part of their hotels, with delightful décor throughout. 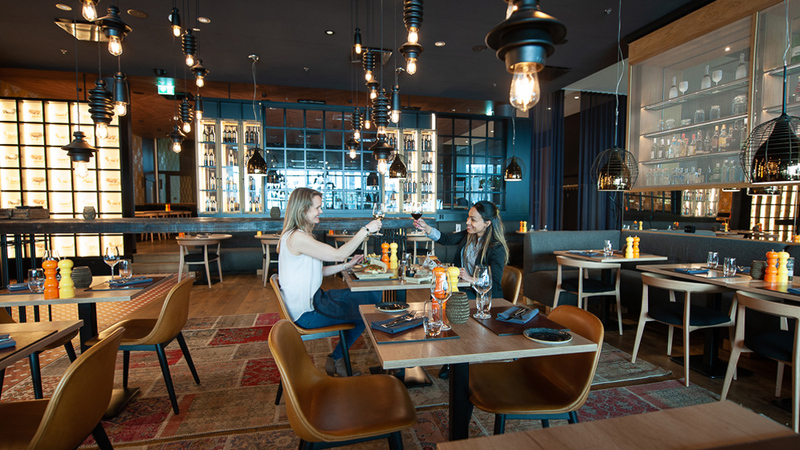 The furniture and fittings in the common areas, and in the private rooms, has been chosen to reflect the international vibes of the Airport area, but also to feel personal and comfortable. The lamps that light the public spaces are fascinating, the arm chairs deep and comfy, the general ambiance one of relaxed modernity. Clarion Hotels believe that great design makes for a better experience. There are four choices available – Standard Double, Superior Double, Deluxe Double, and Suite. All are spacious and comfortable, the smallest being a generous 23.5 m2, with 35–38 m2 for the Deluxe, and the top floor Suites being 48 m2. All the rooms feature a delightful Finnish touch – a signed landscape photograph by young Finnish photographer and Instagram star Konsta Punkka, known world wide as the Squirrel Whisperer thanks to his highly distinctive portraits of Finnish woodland fauna. 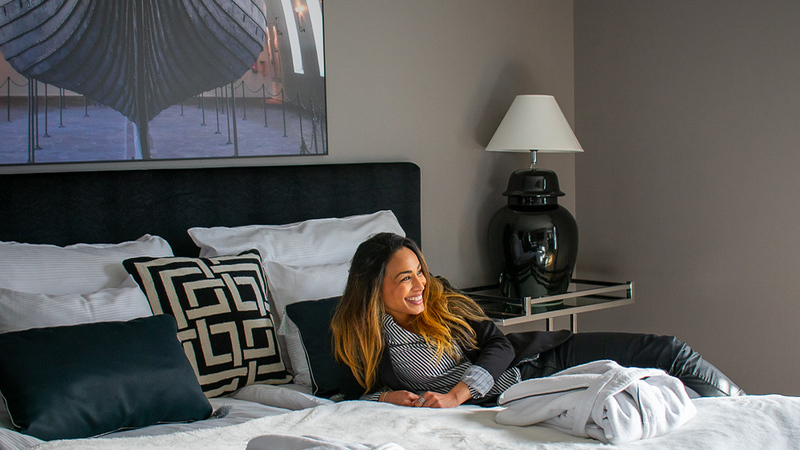 All rooms are equipped with a working desk, spacious closets, flat screen TV, telephone, hair dryer, bathrobes, mini-bar, safe and iron & ironing board, with tea and coffee making facilities are available in the Superior, Deluxe, and Suites. A distinctive element of the rooms is the bed. In most of the rooms it is a huge, 2 meter wide king size bed, made in Finland by Familon. The Hotel also features deluxe family rooms for four persons. A free breakfast buffet is available for all guests. 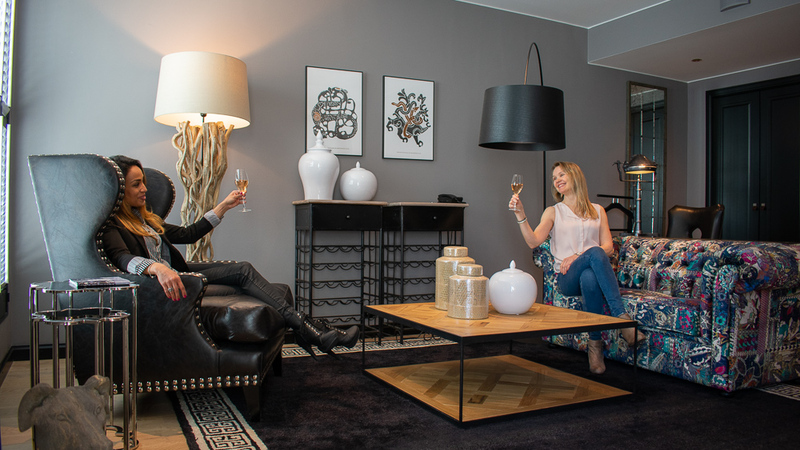 Living Room is a vital part of Clarion Hotel Helsinki Airport. 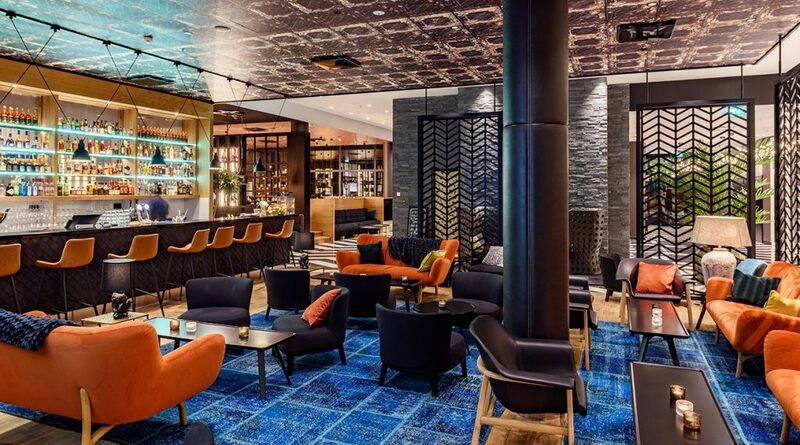 The hotel’s cozy lobby lounge, Living Room, is a vibrant and inspiring meeting place where you come into contact with art, live music, design and other people. It is a great place to hang out, and designed to turn your ordinary weekday evening into an incredible experience, with an events calendar that has something special for both locals and hotel guests. Previous events that have been organized include afterwork parties with live music, and a New Year’s Eve party without fireworks specifically for dog owners! 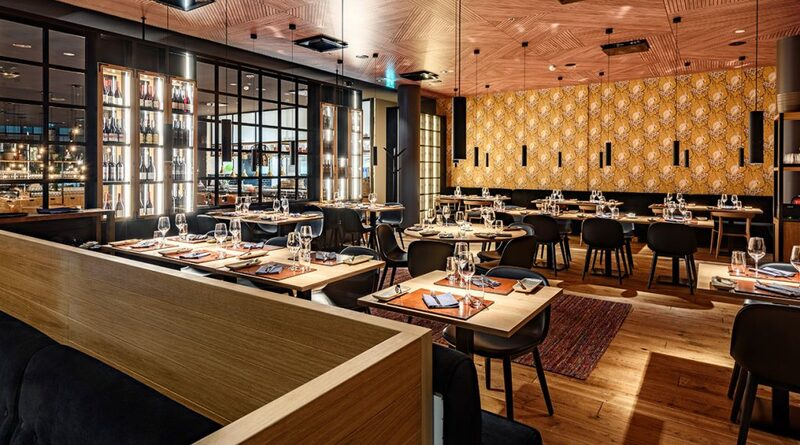 Clarion Hotel Helsinki Airport’s restaurant Kitchen & Table is a collaboration between the hotel and acclaimed Swedish chef Marcus Samuelson. The guests enjoy local Finnish ingredients and traditions combined with Manhattan flavours in a relaxed atmosphere. Marcus’ vision is to offer what he calls Fun Dining, rather than fine dining, in an inviting open kitchen and urban relaxed environment focusing on social eating. Chef Marcus has won Top Chef Masters, has served President Obama, and even cooked with the First Lady Michelle Obama on Good Morning America! 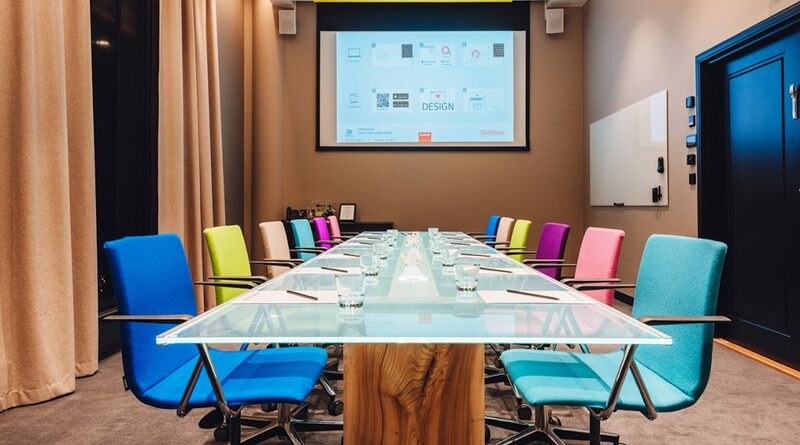 At Clarion Hotel Helsinki Airport you’ll find a professional team ready to arrange meetings, conferences, events and conventions in close proximity to Helsinki Airport. The top-notch facilities include 12 conference venues of 7 different sizes, with the largest room capable of holding up to 250, and the smallest perfect for groups of 6. All conference rooms feature a different theme designed to inspire. There is, for example, a Relax meeting room with a sofa and rocking chairs, a Design meeting room featuring a hand-made design table by Mikko Paakkanen, and an Innovation meeting room featuring an exhibition made in co-operation with the Finnish Aviation Museum. The exhibition tells the story of Finnish aviation innovations from in the 1920-30´s. There are many sides to Clarion Hotel Helsinki Airport, making it an interesting place to visit in itself. 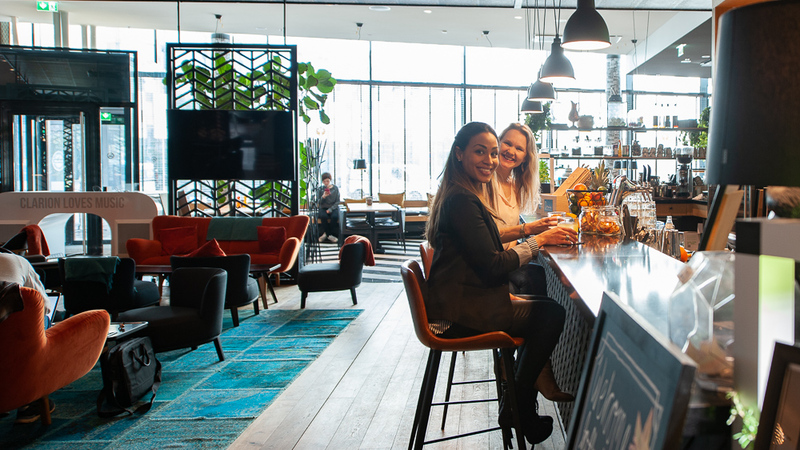 While the Clarion Hotel brand is relatively new to Helsinki, in Sweden it has won the prestigious and coveted Grand Travel Award for the last seven years in a row! 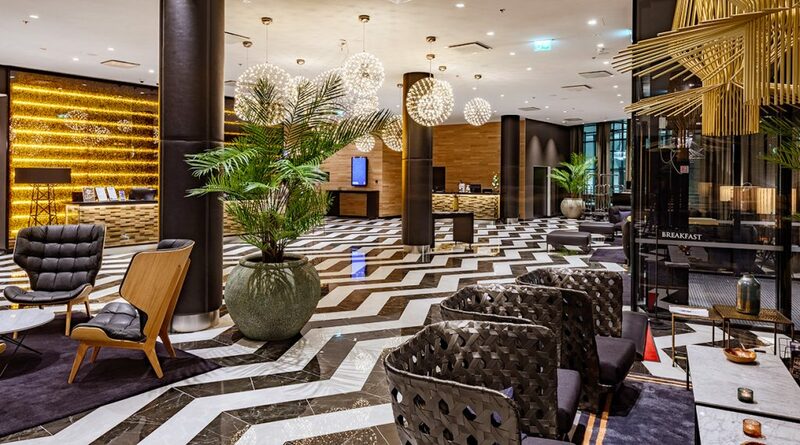 Just half an hour train ride from the centre of Helsinki, The Clarion Hotel Helsinki Airport is ideal for your StopOver. Visitors arriving at Helsinki Airport should take advantage of its proximity to Vantaa and Helsinki and the many sights and attractions to be enjoyed in both cities. You’ll find the Discovering Finland guide to a Vantaa StopOver has plenty of interesting suggestions on how to make the most of yours.